PALMER, Alaska – Mat-Su Regional Medical Center is the newest member of the Mayo Clinic Care Network, a select group of independent health systems that works closely with Mayo Clinic to improve the delivery of health care and better serve their patients and communities. Through this formal relationship, Mat-Su Regional Medical Center providers can quickly access Mayo Clinic’s latest research, diagnostic and treatment resources whenever they feel it will benefit their patients. Patients can benefit from these additional resources within the community and close to home. There is no additional cost to patients, and patients can avoid unnecessary travel or inconvenience. Mat-Su Regional Medical Center provides advanced surgical service, and a wide range of inpatient and outpatient care. Also, the 74-bed facility is undertaking a campus expansion that will include a new inpatient behavioral health and substance abuse treatment facility, a medical office building and an expanded emergency department. Mayo Clinic developed the first integrated, multispecialty group practice more than 150 years ago. Today, Mayo Clinic is the largest nonprofit group practice in the world, serving about 1.3 million patients annually. Mayo Clinic health care providers from every medical specialty work together to advance medical knowledge through research and education, and apply that knowledge to patient care. This database of medical information offers care guidelines, treatment recommendations and medical reference information for use at the point of care. eConsults connect physicians with Mayo Clinic specialists on questions of patient care. These live video conferences enable providers to review and discuss the management of complex cases with a multidisciplinary team of Mayo Clinic specialists and other physicians across the Mayo Clinic Care Network. Network members have access to the experience and subject matter expertise at Mayo Clinic to help them achieve clinical, operational and business objectives. Mat-Su staff also will have access to Mayo Clinic’s library of patient education materials, as well as professional development opportunities and Mayo Clinic’s continuing medical education programs. Mat-Su Regional Medical Center and other members of the Mayo Clinic Care Network are independent health systems that share Mayo’s commitment to improve the delivery of health care. Launched in 2011, the Mayo Clinic Care Network consists of more than 40 member organizations across the U.S., as well as in China, Mexico, the Philippines, Saudi Arabia, Singapore, South Korea and the United Arab Emirates. 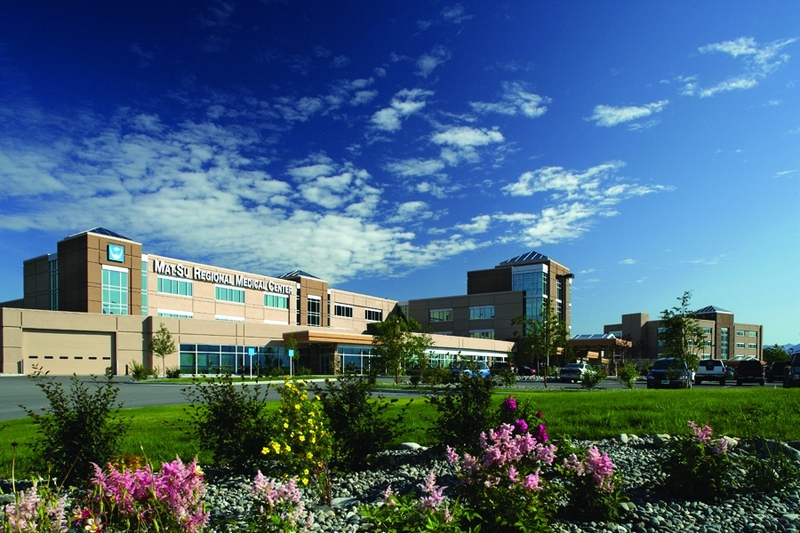 Mat-Su Regional Medical Center is a 74-bed acute care facility that provides advanced surgical service, including robotic-assisted partial and total knee, and total hip replacement; cardiac care; intensive and general medicine; emergency services; diagnostic imaging; sleep studies; urgent care; Alaska's only epilepsy monitoring program; and the Family Birthing Center. Learn more about Mat-Su Regional Medical Center.